TRP’s two-piece rotors offer superior heat dissipation due to the aluminum center as well as excellent stiffness to provide you with confidence in your braking and lighter weight in 180/203mm sizes. The TRP Two-Piece comes in the new TRP 33 version which features a slotted design. 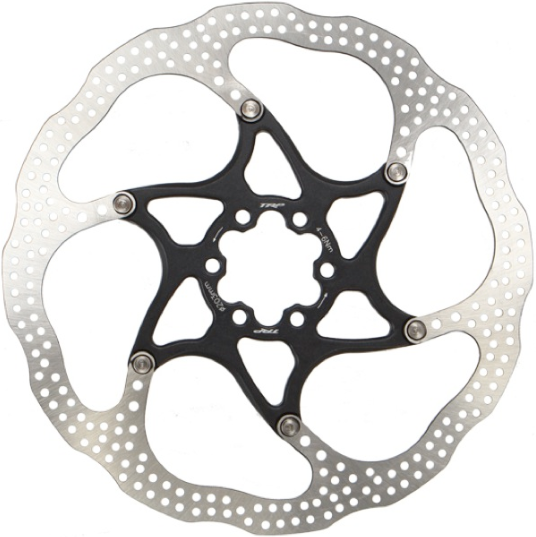 Six recessed slots create channels to allow water, mud, and other debris trapped between the pad and rotor to escape under braking. When debris gets trapped between the pad and rotor braking power is dramatically reduced, these recessed slots maintain a more consistent brake feeling in mixed conditions. 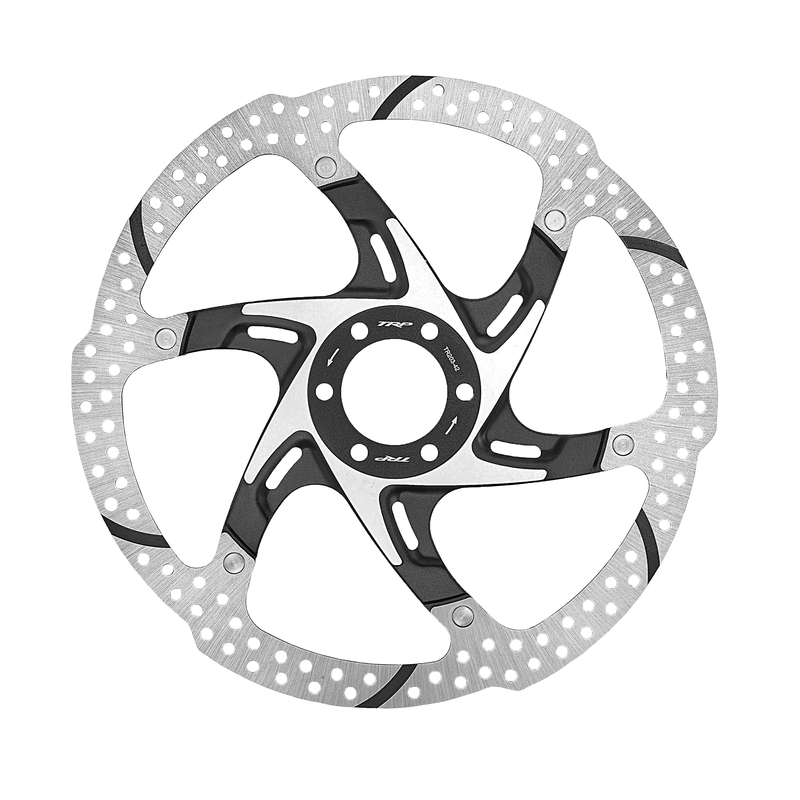 What is the weight of this rotor? All sizes would be nice, or at least the 160. Are these compatible with xt brakes?